Organizing a marriage is like forming a government after a war. In the video Olivia Newton-John and John Travolta performing I Think You Might Like It. In the photo Peter Brant Jr. and Harry Brant hotographed by Dimitrios Kambouris/Getty Images. 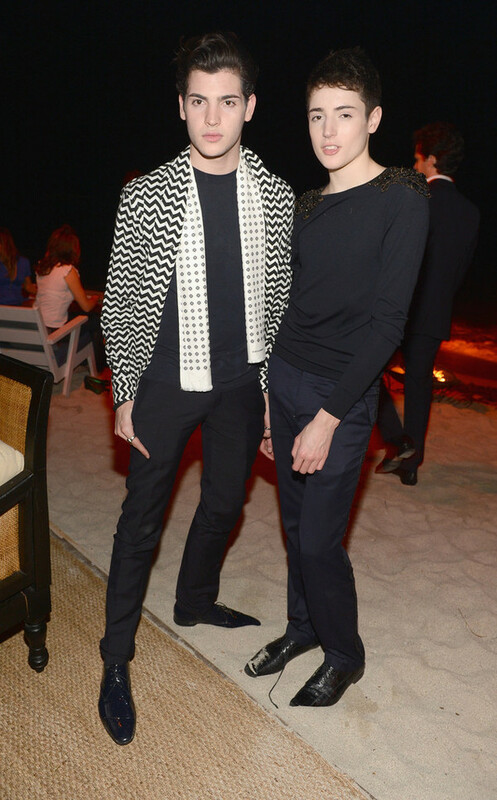 Peter Brant Jr. and Harry Brant attend a Beachside Barbecue presented by CHANEL at Soho Beach House on 5 December 2012 in Miami Beach. Photo caption from Delicacy by David Foenkinos. Title by Mascotes.